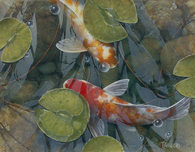 Terry Gilecki - New Originals In Stock!! 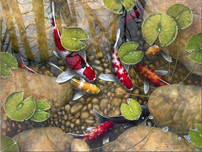 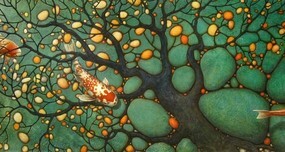 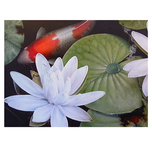 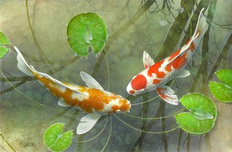 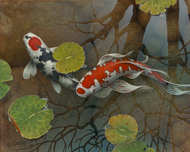 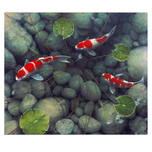 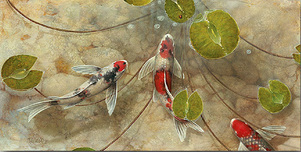 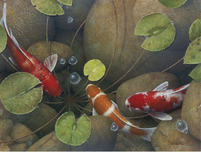 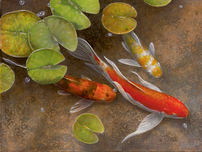 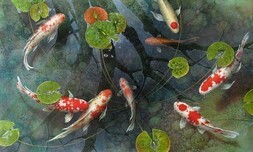 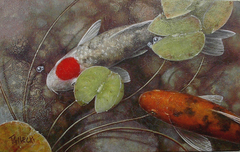 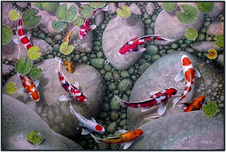 Terry Gilecki has always had an ardent interest in the beauty of Koi and the diversity of their color. 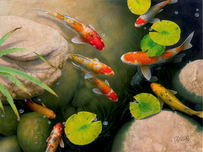 He has devoted his artistic career to capturing their essence in his paintings. 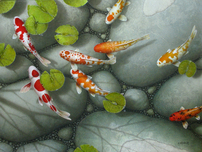 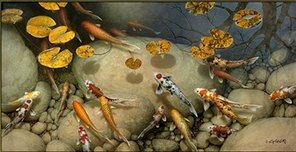 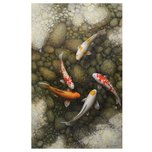 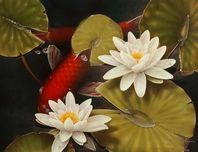 Moreover, Terry Gilecki's attraction to, and study of, Koi brought him to the realization that, through his paintings, he would be able to emulate the simple and rewarding pleasure of actually watching them. 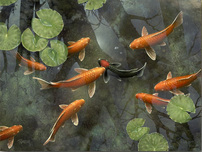 Born in 1954 in British Columbia, Terry Gilecki received a diploma in Commercial Art in 1973. 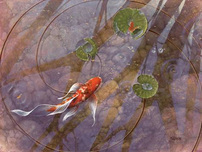 He now devotes himself fully to making fine art. 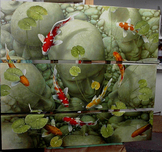 His technique involves first applying reactive mediums and modeling material for texture, then painting in acrylic through a combination of airbrush, brush, and scratching back techniques, then finishing with the addition of translucent, opaque, and--occasionally--metal powders for a dimensional quality.